Serving the industries of the Pacfic Northwest with CNC milling & CNC turning. Hal-West Technologies is a full service state of the art manufacturing facility utilizing the latest cnc, cad-cam, and cmm technology along with over 50 years accumulated experience in the industry to produce high quality machined parts and assemblies. 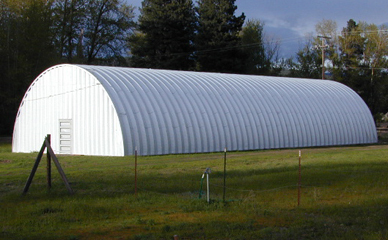 Our Cle Elum facility on the east slope of the Cascade Mountains affords us a lower overhead keeping our prices competitive yet we are close enough to the Seattle area to meet our customer's needs such as acquiring materials, and any out plant services the job may require such as plating and/or painting etc. We have the ability to machine a wide variety of shapes and sizes in nearly any type of material from plastics to nickel alloys and anything in-between. We use the latest in 3d multi-axis cam (computor aided machining) software, which allows us to program complex surfaces, quickly and efficiently with excellent surface finishes. The software allows us to verify the cutting of the part in a virtual machine before we ever create a real chip, saving our customers both time and money. We also have cmm (computorized measuring machine) capabilities that allow us to insure the part meets the dimensional requirements of the drawing and can provide a printout of the inspection data when requested in advance by the customer. To get an idea of our capabilities, and the types of jobs we specialize in click on the links under Services to see a more detailed view of each of the areas we cover.